It was exactly five years ago that Hungary, amid international controversy, extradited convicted Azeri axe-murderer Ramil Safarov to Azerbaijan. Upon returning to his native country, Safarov received a pardon from President Ilham Aliyev, was declared a national hero, and received a promotion. Unsubstantiated rumors have abounded for years that a nefarious deal had been worked out between Aliyev and Prime Minister of Hungary Viktor Orbán for Safarov’s repatriation. Now, investigations by Hungarian investigative journalism NGO Átlátszó.hu, the Organized Crime and Corruption Reporting Project (OCCRP), the Danish Berlingske, The Guardian, and other media outlets have uncovered how a slush fund tied to Azerbaijan’s ruling elite was being used to buy influence around the world and polish the international reputation of the Azerbaijani president. The investigation revealed that several bank transfers – totaling more than USD 9 million – were made to an MKB bank account in Budapest right around the time the Hungarian government handed over Safarov to the Azeris. The Budapest bank account belonged to an offshore company owned by the son of an influential Azeri politician. More than USD 9 million was transferred to the account in 2012 right around the time the Hungarian government struck its deal with Azeri authorities allowing for the extradition of Ramil Safarov. No information is available regarding how the aforementioned funds were used. The offshore company has since been wound up. In its series titled The Azerbaijani Laundromat, the OCCRP reported that over a two-year period, more than USD 2.9 billion had passed through certain core companies – Polux Management LP, Hilux Services LP, Metastar Invest LLP, and LCM Alliance LLP – that “are part of a larger constellation of companies set up by unscrupulous agents to launder and steal large amounts of money” on behalf of Azerbaijan’s ruling elite. It was the Budapest-based bank account of one of the companies in this constellation, Velasco International Inc., that received transfers from Metastar Invest LLP totaling more USD 9 million around the time of Safarov’s extradition to Azerbaijan. According to Átlátszó.hu, during Orbán’s visit to the Azerbaijan capital Baku in June 2012 (right before the release of Safarov), he was greeted by then-First Deputy Prime Minister of the Republic of Azerbaijan Yaqub Eyyubov, father of Orkhan Ejjubov. The younger Ejjubov was reportedly the owner of Velasco International Inc.
Metastar Invest LLP has already been implicated in the alleged corruption case of Luca Volontè, the former chair of the European People’s Party group in the Council of Europe and a former Italian MP. Prosecutors alleged that Volontè was paid almost €2.4 million by Azerbaijani officials in exchange for “his support of political positions of the state” at the Council of Europe. In 2013, Volontè, a staunch defender of the Orbán government in the Council of Europe, dismissed criticisms of Hungary’s unilateral and newly-adopted constitution as being part of a witch-hunt against the Hungarian government. He said Europe ought to be proud of the new Hungarian constitution because it is founded on Christian tradition, human dignity, and families. According to the OCCRP, pro-Azerbaijani European politicians, journalists, and businessmen were among the recipients of Azerbaijani “Laundromat” money. When asked about these reports at a press conference Wednesday, Hungary’s foreign minister Péter Szijjártó did not explicitly name what the scandal was about, and instead chose to refer to the “investigation by British and other news media”. Szijjártó expressed his hope that the “international and national inquiries into the stories uncover what exactly happened, because as long as the truth is not known, all kinds of defamatory statements can be made by everyone without consequence. 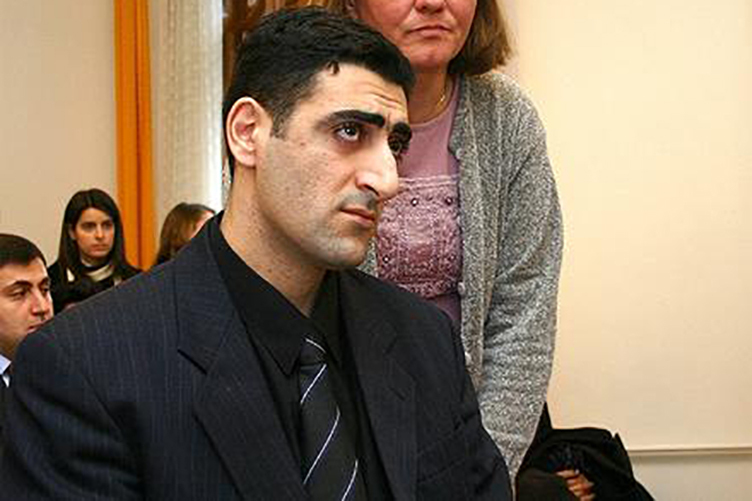 In 2004, Azerbaijani army officer Ramil Safarov murdered Armenian army lieutenant Gurgen Margaryan in Budapest. The two were in Hungary participating in a NATO-sponsored language program. One night, Safarov walked into Margaryan’s dormitory and hacked him to death with an axe. Safarov was convicted of murder in 2006 and sentenced to life imprisonment. Safarov’s lawyers lost an appeal one year later. In 2012, the Orbán government allowed Safarov to be extradited to Azerbaijan. Upon arriving there, Safarov received a pardon from President Aliyev, was declared a national hero, and received a promotion. The Orbán government’s move to extradite Safarov generated outcry from Hungarians, foreign governments, and rights groups around the world, and prompted the Armenian government to cut diplomatic ties with Hungary. Hungary’s decision to allow the extradition – despite the severity of the crime and the known hostilities between Azerbaijan and Armenia – left many puzzled about the real motivation.